Complexity in the Smart Home market impacts device makers and consumers alike. It’s something we spend a lot of time thinking about, and engineering effort on our platform simplifying. As EVRYTHNG CTO and Co-founder Dom Guinard recently wrote on O’Reilly ,“The IoT needs a defrag” – in short: full interoperability across competing consumer ecosystems needs a neutral orchestration layer sitting above them all. Here’s a blueprint of how this works in practice using EVRYTHNG’s connected device customer iHome. Via the EVRYTHNG smart products platform, the iHome SmartPlug already connects seamlessly with Nest, Wink and HomeKit. Building on this, iHome has just announced support for Samsung’s SmartThings and Amazon’s Alexa, increasing their addressable market by a cool four million US households*. Consumers with Alexa devices, including Amazon Echo, Tap, Echo Dot and Amazon Fire TV can use voice commands like “Alexa, turn off the bedroom light” or “Alexa, turn on the living room fan” to operate their SmartPlugs. 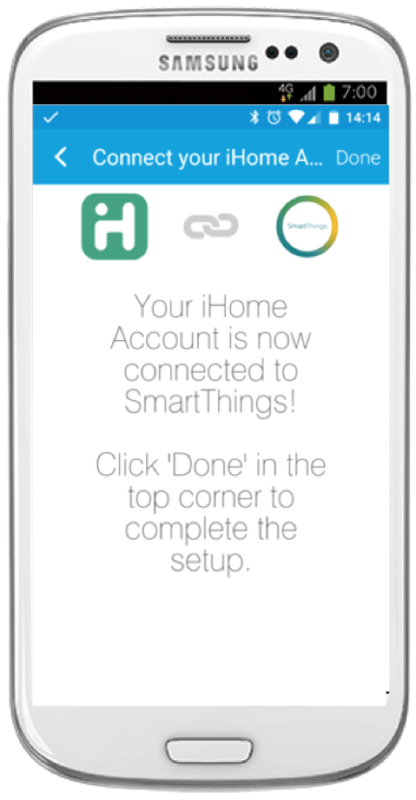 Further, consumers can control their iHome devices using their existing SmartThings app too, now that the EVRYTHNG platform connects to the SmartThings cloud in the background to manage all the heavy-lifting. Of course, consumers don’t care about cloud-to-cloud connectors on the back-end, protocol conversions or standardized data models. They just want new products they buy to play nicely with other products, apps and services they already have. The more confidence consumers have that iHome’s products will work seamlessly with other smart home devices or apps straight out-of-the-box, the easier it will be to make the purchase decision. Device manufacturers, including iHome, don’t want to worry about the underlying complexity either. 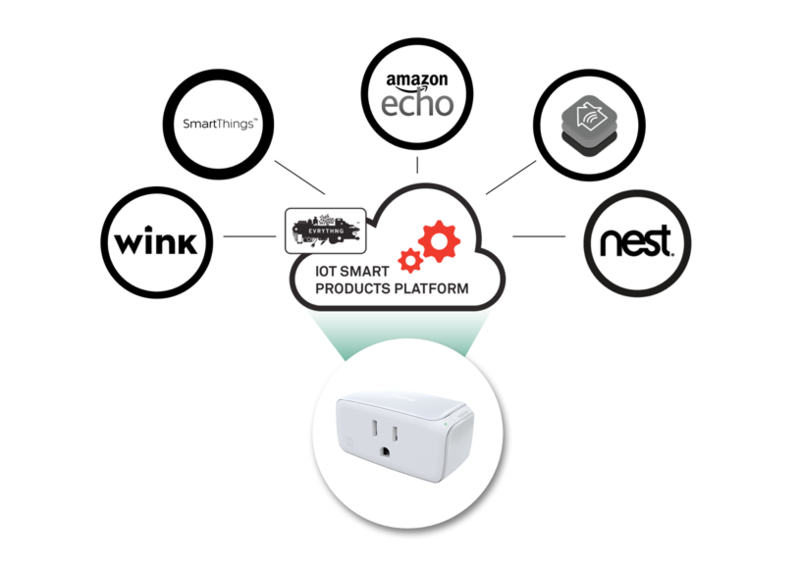 “Our strategy from the start was to make the SmartPlug range compatible with all the major IoT smart home ecosystems. This was one of the key reasons we built our iHome Control™ product line on the EVRYTHNG platform,” said Gary Schultz, Director of Business and Product Development at iHome. EVRYTHNG’s cloud to cloud connectors provide a quick way of integrating at a platform level via standard, scalable APIs. It means any smart device operated by the EVRYTHNG Smart Products Platform can interoperate with many other devices and clouds. Not only that, but with REACTOR™ our powerful, programmable rules engine, sophisticated instructions can enable devices to respond to real-time data from other devices to make your products cleverer and more useful. You can find out more about our new Cloud-to-Cloud Connector for SmartThings by downloading the datasheet here. Yes, working with different Smart Home ecosystems can be complex, but it doesn’t have to be complicated. By adding more and more of these prebuilt cloud integrations, EVRYTHNG is making the Smart Home simpler and, well, smarter. *Market sizing estimates extrapolated from publicly available sources.